Oskar “Ossi” Romm was born on 18 December 1919 at Haindorf in the Isergebirge region of Friedland/Sudetenland. He joined the Luftwaffe in 1939 and trained as a fighter pilot from July 1941 to August 1942. Romm was posted to JG 51 based on the Eastern front on 11 September 1942. Unteroffizier Romm was assigned to 1./JG 51. His first combat mission on 29 September ended with a belly landing and some minor injuries. His second resulted in his first victory when he shot down a Russian Il-2 Sturmovik ground-attack aircraft on 4 December, but was again followed by a belly landing and further injuries. He then enjoyed spectacular success. He shot down three enemy aircraft on 13 July 1943 to record his 18th through 20th victories, five on 14 August (32-36) and six on 20 August (43-48). From late August 1943, Romm undertook a period of instructing with Ergänzung-Jagdgruppe Ost. He returned to 1./JG 51 in January 1944. He shot down six enemy aircraft on 5 February (71-76). Oberfeldwebel Romm was awarded the Ritterkreuz on 29 February for 76 victories. On 1 June 1944, Leutnant Romm was transferred to the Stabsschwarm of IV./JG 3 on Reichverteidigung duties. 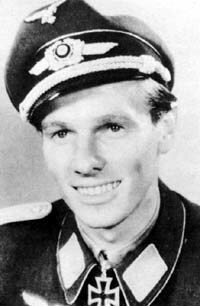 On 7 July, he was appointed Staffelkapitän of 15./JG 3. He shot down his first four-engine bomber on 7 July 1944. In all he accounted for eight four-engine bombers while with the unit, including three USAAF B-24s in one attack on 27 September 1944. In November 1944, Romm was transferred to lead 4./JG 3 and then to the Stabsschwarm of I./EJG 1.  Romm was appointed Staffelkapitän of 15./JG 3, based on the Eastern front, on 15 January 1945. There the unit undertook fighter-bomber and ground attack missions against the advancing Russian army. Romm was credited with 34 tanks destroyed as well many other vehicles. On 18 February 1945, Oberleutnant Romm became Gruppenkommandeur of IV./JG 3, taking over from Major Erwin Bacsila (34 victories, DK). He recorded a further six victories to bring his victory total to 92. Romm’s wartime career ended on 24 April 1945, when he was severely injured in a crash-landing when, following aerial combat with Russian Il-2 Sturmoviks south of Stettin, his engine overheated.